I knew times were tough, but holy crap! 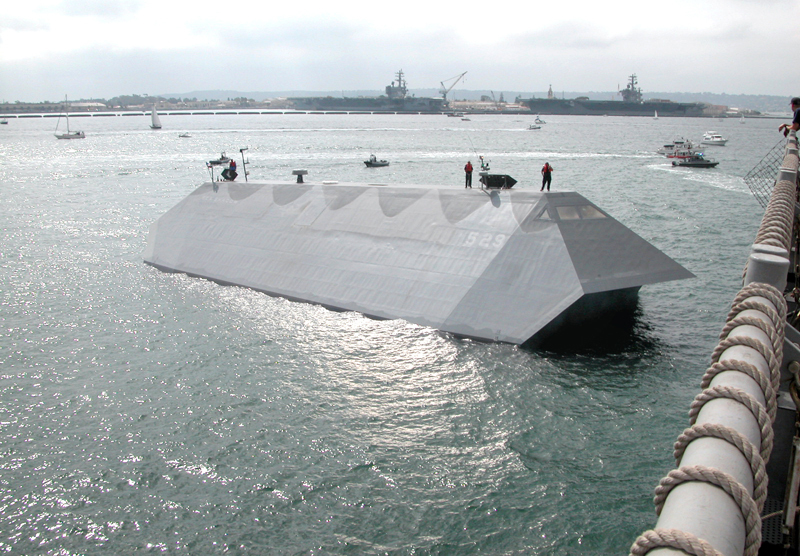 The US Navy's super-secret Sea Shadow stealth cruiser is actually up for sale! 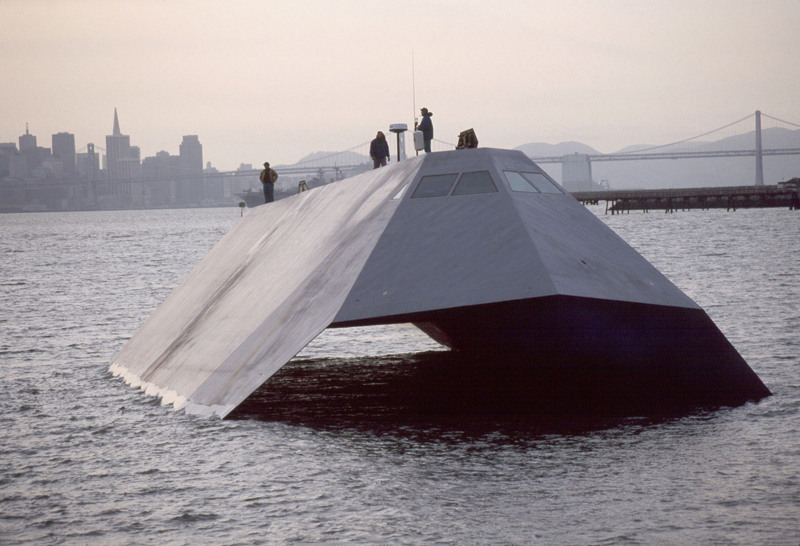 Launched in 1984, and probably best known as the inspiration for the seaborne lair of a lesser/lamer Bond villain, she was the love child of a cash-flush Lockheed Martin and a nearly unlimited Cold War paranoia-fueled defense budget. 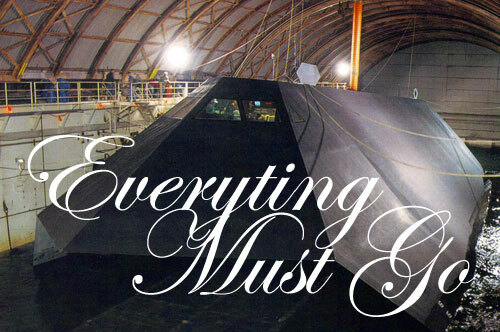 Drawing stealth technology and design from the F-117 stealth fighter program, she was the testbed for advanced naval technology, from sea skimming hull structures to automated control systems. (Not to mention, who knows what else...) And now for a princely pauper's bid deposit of $10,000, you too can stalk the seaboard of third world countries with complete immunity. Don't count your Bond boat before it hatches, though. If you are the lucky winner, you won't be cruising Malibu and picking up invisible ladies with your radar-dodging prowess. 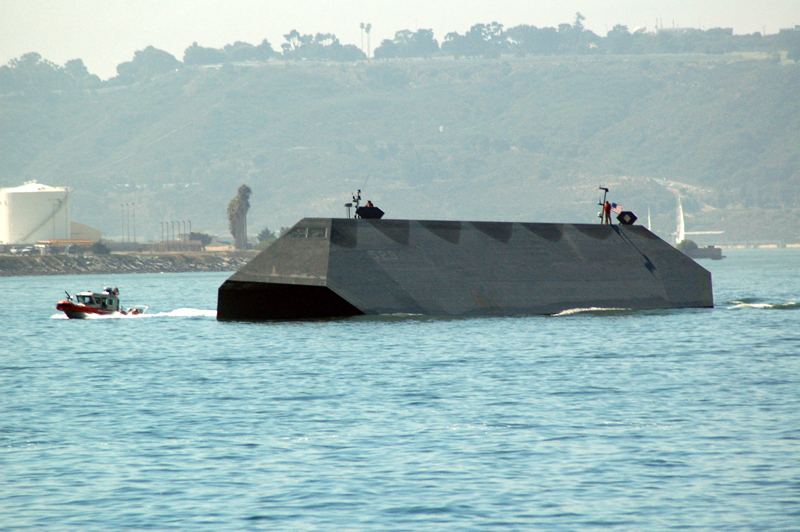 No, you get the distinct honor of being the jerk who murdered the winningest naval vessel ever built, because the GSA terms of sale demand that you bust her up for scrap. Preferably not for sale to the Red Chinese, of course. 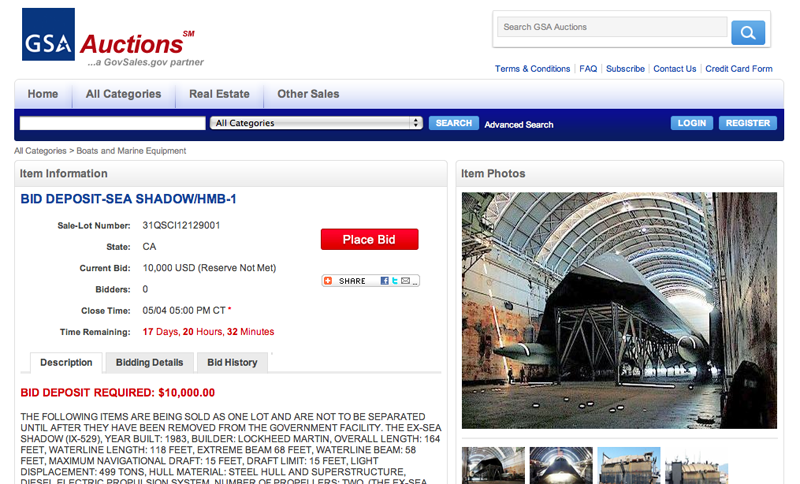 Auction includes her floating drydock/barge/boat cave/rotting hulk. Reagan just did a Double McTwist 1260 in his grave. We're gonna need an invisibler boat. 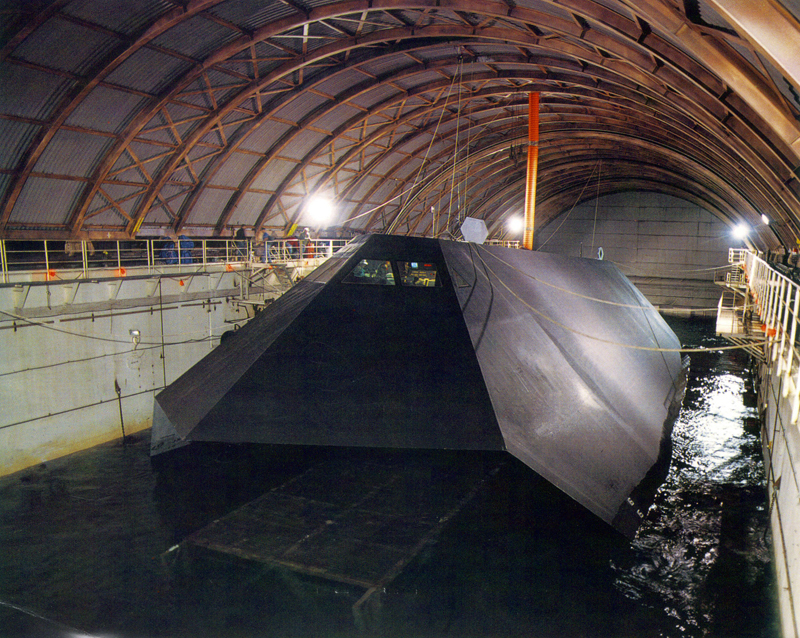 Loose lips sink stealth ships.